This week in Women in DevOps, meet Meera Subbarao, a Senior Principal Consultant and also the Director of Secure Development Practice at Synopsys, Inc. In our new Women in DevOps blog series, you'll hear from talented women in DevOps. They will share their experiences in DevOps, their thoughts on leadership, lessons learned and also how we can encourage more women to focus on an IT career. Today, we're talking with Meera Subbarao. Ms. Meera Subbarao is a Senior Principal Consultant and also the Director of Secure Development Practice at Synopsys, Inc. who has over 20 years of experience in software development organizations in a variety of roles including architect, lead developer and project manager and security architect. Meera has worked with a number of Fortune 500 companies and various government organizations. She has overseen and performed secure code reviews, static analysis implementations, architectural risk analysis, secure design reviews and threat modeling of systems built from a few thousand lines of code to systems containing tens of millions of lines of code (Java, JEE, .Net, Rails, Grails and C/C++). 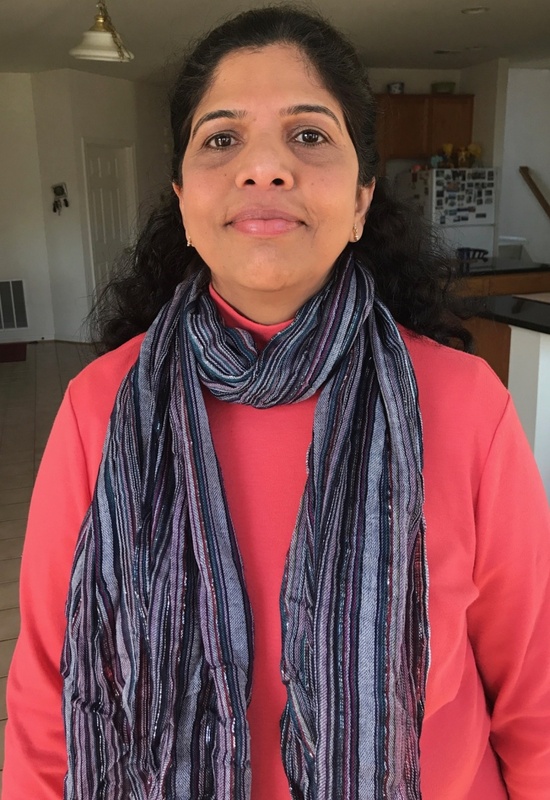 As the Director for the Security Development Practice within Synopsys, Meera has been helping her clients in providing DevSecOps, continuous integration (CI), continuous delivery (CD) and continuous deployment engineering activities, and enhancing their CI/CD and DevOps lifecycle by creating and enhancing a broad range of security-related activities. Other than computer science, one of Meera's great passions in life is cooking. She really enjoys trying out new recipes making people happy through her cooking. Meera has maintained a popular cooking blog for more than a decade and loves inspiring people to make healthy delicious food at home. Hi Meera! Tell us a little bit about your experience as a woman in the DevOps industry. Being a woman in the DevOps industry so far has been an amazing experience and, yes, it has exceeded my expectations. Thankfully thus far, I have felt as if I am an equal in many respects to my male colleagues. I am able to motivate and inspire many people at Synopsys, at client sites and at conferences where I often speak about pursuing this career path. What has made you a leader in DevOps? Having a vast software development background along with decades of CI/CD experience, excellent communication skills, mentoring and coaching the team members have made me a leader in this field. I am humbled when my company and clients value my expertise regarding DevOps and DevSecOps (Building Security In). Overall my passion for this industry and my desire to improve it has inspired me to come up with new solutions and ideas to solve the challenges faced in DevOps. Meera, you are a DevOps Queen! How can we encourage more women to rule this industry? We can motivate and inspire women by talking about DevOps at various venues/conferences, by conducting free workshops for women and through publications highlighting the success stories and the bright futures awaiting women in the DevOps industry. Ultimately, the goal is to encourage more young girls to pursue computer science by intervening early in educational institutions such as high schools, and college - emphasizing that the road is indeed challenging, but with hard work and continued commitment they can reap great rewards in this industry. We cannot solve the issue of lack of women in DevOps without first increasing the number of women in computer science overall. What do you look for in a great mentor? I owe my success to the many mentors I have had over the years in the industry. They helped me succeed and made my journey enjoyable. I have also been a successful, sought out mentor myself! Having a great mentor can really help one in the career's success and advancement. The ability to provide constructive feedback. I learned quite early in my career how negative feedback can be detrimental to our mindset. I employ the PIP method, start with a positive feedback, next explain in clear terms how your mentee can improve, and then end the conversation by reiterating the positive feedback and the importance of integrating the feedback for personal and professional development. Employ active listening. Many times I have seen people getting distracted, using their phones, checking social media while we are having a conversation. I encourage people to switch off the phone, turn off the computer and make eye to eye contact while listening to your mentee, give them suggestions, ask questions, reiterate what they said. Focus all your energy in helping your mentee during your feedback time, they should be the priority at that moment. What personalities/habits make you successful in DevOps? I am genuinely interested and fascinated about my work, this passion keeps me going through the good, bad and sometimes challenging moments. I am also keen on keeping myself up to date on all the new tools, technologies and languages which constantly emerge in our industry. When my own daughter was in middle and high school, as she worked on her homework assignments, I read books on continuous integration, wrote many book reviews and learned new programming languages to keep my pulse on the current innovations in the field. For me, success is helping other women (and men) reach the level that I have reached and help them be successful in their career. Success to me is being a role model and inspiring women to find passion in this work just as I have done. I would tell my younger self to stop worrying about having a successful career and just focus on working hard and embracing life as it comes. There will be a day when you will be recognized for your work ethic and knowledge. Keep learning and keep exploring the field. What set you on the DevOps career path? I would attribute my success in DevOps to Hudson/Jenkins and indirectly to KK (Koshuke Kawaguchi). I started using Hudson/Jenkins from the day it was released. I wrote several plugins over the years. I am known as a Jenkins/CI queen by my family and co-workers. Having the deep development background and immersing myself in the CI world helped me succeed in DevOps, or should I say DevSecOps. Do you feel like you have to work harder than your male counterparts to be successful in this industry? Isn't this true in any industry? Women have to prove themselves time and time again that they are equally as qualified and competent to successfully complete any task. I have had many instances of being underappreciated for my work, some of which may have been due to the fact that I am a woman. However, one clear example of this is when a male co-worker would attempt to claim responsibility for the work I completed when in fact, I spent countless hours working on a project as the lead point person. Women of all ages have experienced this phenomenon, whether it is young girls working on a group project, or female CEOs of major fortune 500 companies. Women must advocate for the work they have done, and take credit when it is due! This is one of the keys for being successful in any industry and especially in computer science, where much of the work is collaborative. What do you love most about being a woman in DevOps? I love changing people's perceptions of what women are good at. Through my career, I have shown that women can excel in DevOps and can have the natural talent for computer science. I hope I have helped break the glass ceiling for women in DevOps. I wrote an article during International Women's Day and said Be BRAVE and be BOLD! Sign up for new challenges. Be a presenter. Challenge yourself to write about what you love. Speak at conferences. Be a mentor. So pick up that computer and start coding.